The best car insurance companies have a few things in common: They have straightforward shopping experiences, take good care of policyholders after a crash and treat their customers with respect and courtesy. That means only insurers with high customer satisfaction scores and relatively few complaints to insurance commissioners make it to the top of our list of the best auto insurance companies. For NerdWallet’s rankings, we analyzed customer service and claims satisfaction scores from both J.D. Power and Consumer Reports, along with complaint data from the National Association of Insurance Commissioners. Only insurers rated by both J.D. Power and Consumer Reports are included. That means many smaller insurers aren’t represented here — but they’re worth considering, too. *The following company was scored, but was ineligible for ranking because coverage is available only to certain customers. 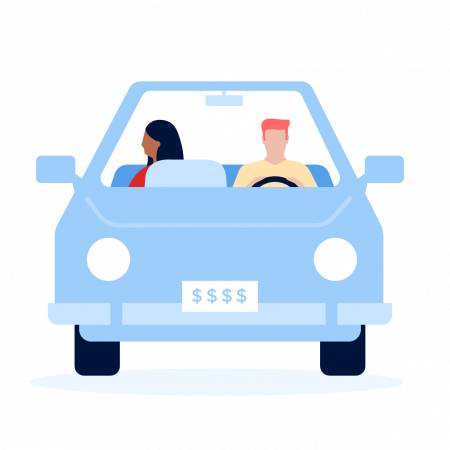 Maybe claims service isn’t top of mind, and you just want to pay as little as possible for car insurance — after all, nobody expects to be in a car accident. Since pricing is based on personal factors including your age, location, vehicle and, in most cases, your credit history and gender, it’s important to shop around for insurance quotes. If price is the most important factor in your search, comparing car insurance quotes can help you find the cheapest rate. But your shopping experience will also shed light on a company’s customer service standards. Visit your state insurance commissioner’s website to find complaints and more information about companies in your area. Ask your agent or customer service representative questions to make sure you’re getting all the coverage you need — and nothing you don’t want. Consider smaller insurance companies, too. Only large insurers are eligible for this list because there’s a wealth of data for evaluating them, but a smaller insurer might still be the best company for you. If you’ve had tickets, DUIs or other violations, be sure to shop 3 and 5 years after the incident, when surcharges can drop significantly. Want to see rates? Navigate to your state below and compare average rates from the three cheapest car insurance companies in several categories where you live. Select the right policy for you by understanding coverage choices.